Wall art can transform a house into a home, but sometimes – if you’ve moved into your first apartment, moved into a new place or simply keen to give your home a much-needed facelift – you simply can’t justify the expense. 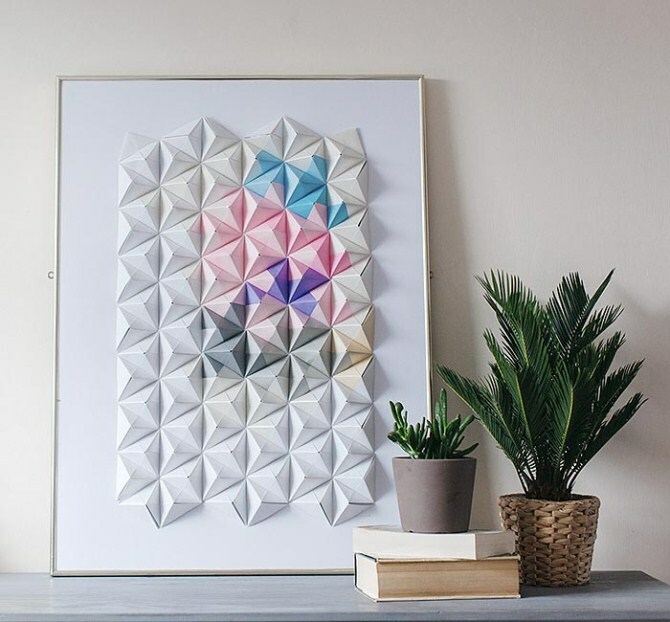 The good news is that there are plenty of amazing, creative and affordable wall art options that will convert an otherwise plain or drab space into something truly special: a place you’re proud to call home; a place you’ll love showing off to your friends; a place you deserve to live in and enjoy. So if you, like me, can’t afford to (or want to!) shop at a high end craft fair or designer shop simply to buy something you could quite easily have made yourself at home, this article will inspire you to create, create, create! 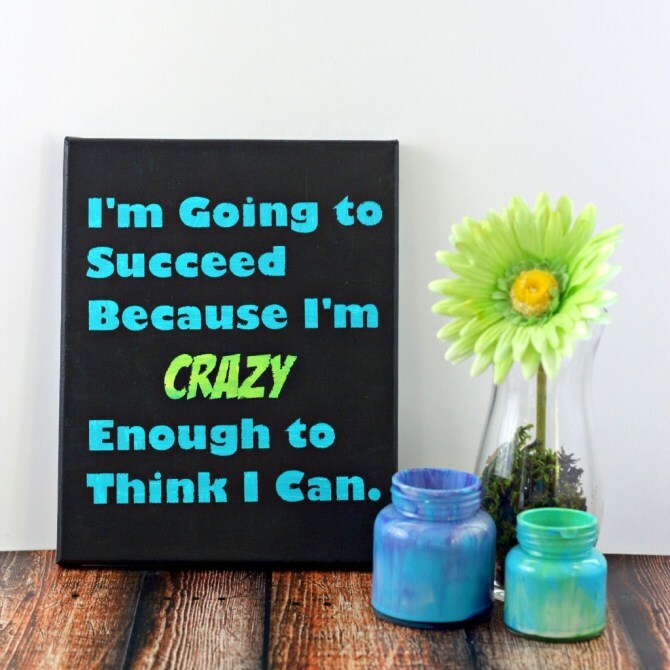 The wonderful thing about creating your own wall art is that thoughtfully made items give your home a unique personality that nothing mass-produced or bought off the shelf will ever achieve. DIY always ends up being more special. We’re more likely to love it longer and less likely to part with it, so it’s a wonderful investment in time and resources. But I say it’s got to be doable! Doable DIY! Yes, it’s a thing! But what does it mean exactly? Well, it basically means it’s super easy – not only easy to create, but that uses materials that are easy to source. Kind of like easy recipes! In the same way you don’t want to have to scour high and low for the right ingredient to cook a delicious meal, you don’t want to have to search the ends of the earth to find the right material for a beautiful work of art. That said, to create something beautiful, funky or eye-catching, you do need to have a passion for craft (and for finishing things!). 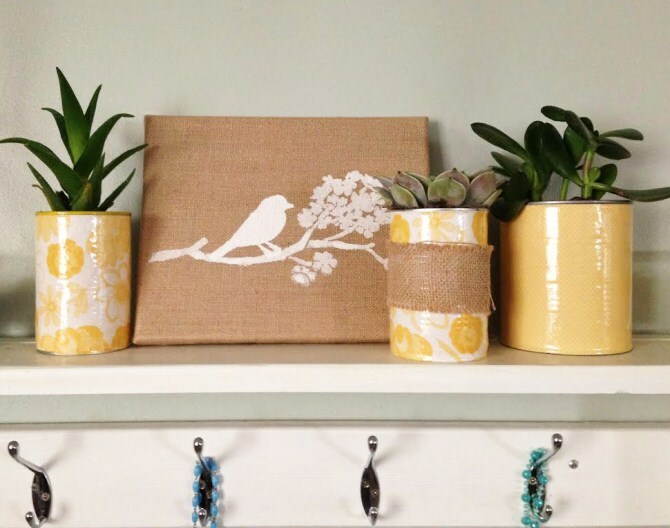 You don’t even need to be good at craft to conquer easy DIY art. All of us are creative. Sometimes you just need someone to help you channel that creativity into a place of refinement. If you’re that person, why not invite your crafty friends over for a craft-a-noon or get your kids and their friends involved in the process? 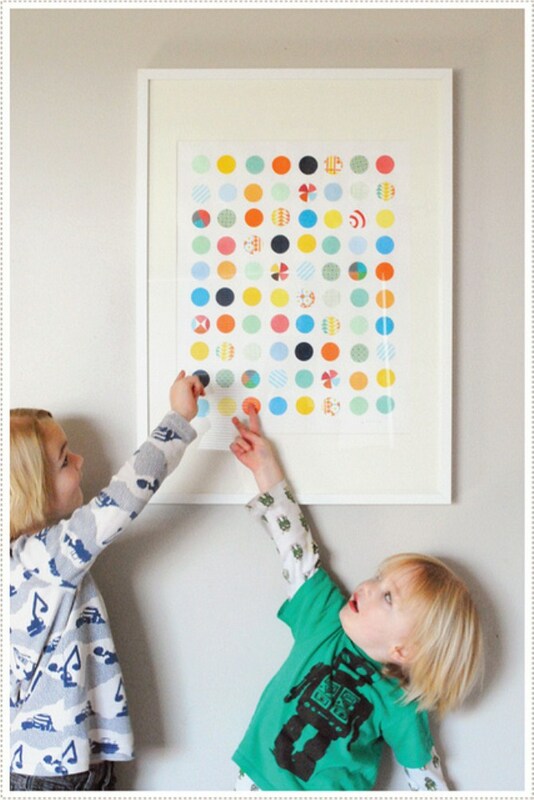 Here are 39 easy DIY wall art ideas to get you started. Icecream sticks are out, but coffee stirrers are in. Double HCB shows us how to recreate this retro favourite. 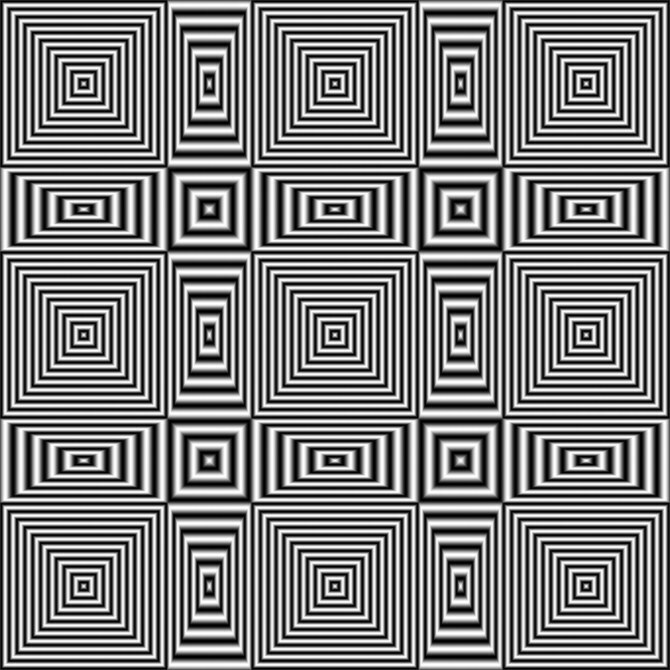 Visit Canvas Factory, go to Canvas Art and then, in the search tool, type in ‘Black And White Pattern’. Purchase one of our patterned black and white prints below and, once you’ve received it, paint over it completely with a shade of your favourite colour. Alternatively, get into more detail and, wherever you see white, paint some colour there! Keep it simple! Great idea from House By Hoff. 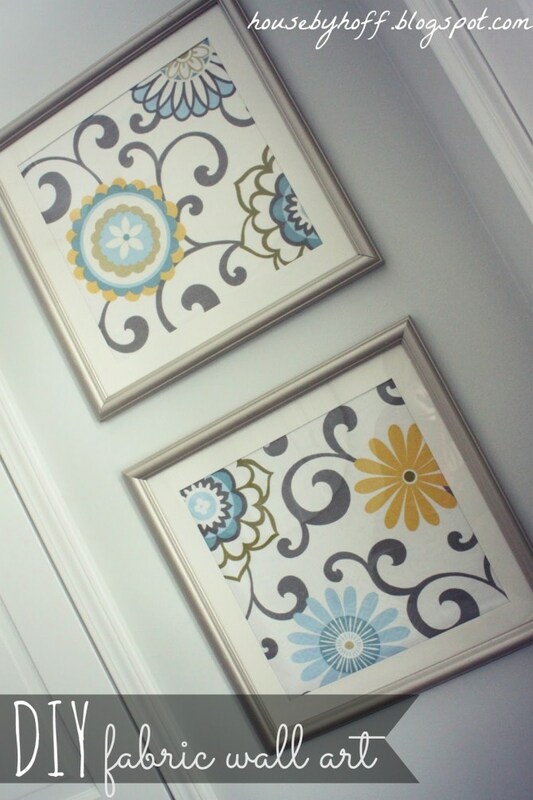 Buy some funky fabric and second hand frames from an op shop and use the fabric to create a work of art. 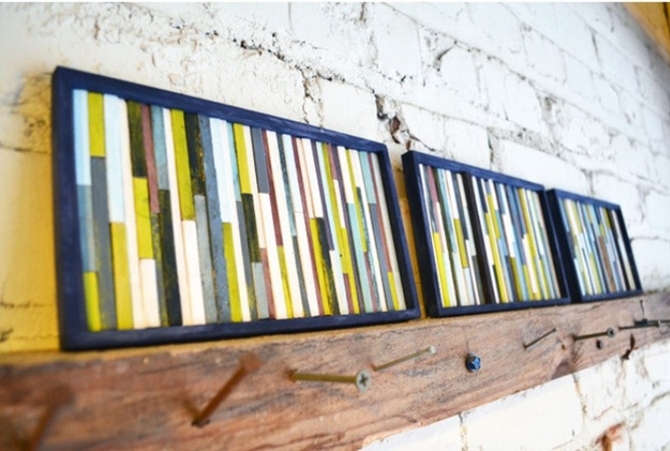 From The Murrayed Life, learn how to create colourful string wall art with nails, string and timber board. 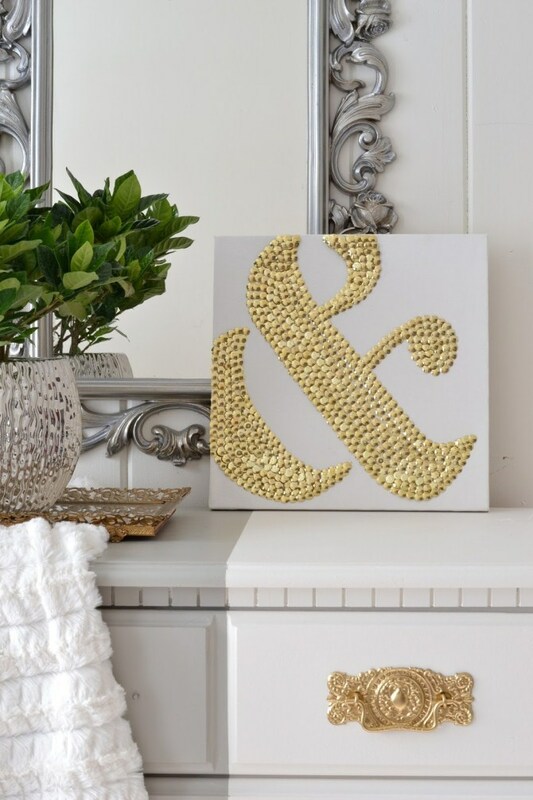 This DIY canvas word art from Snappy Casual is so ridiculously easy to make, you’ll wonder why you hadn’t thought of it earlier! 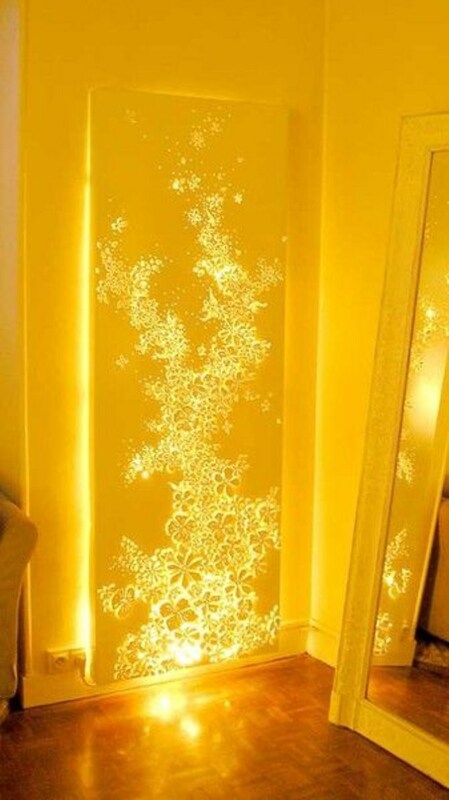 Lighting specialists Bird Dog Distributing give away these amazing ideas for wall art made with lights! Affordable LED charm! Don’t pay $500 online for something like this. 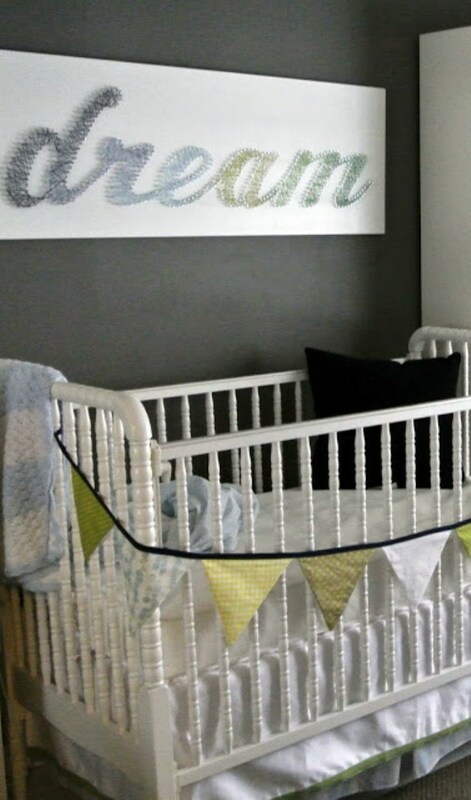 DIY all the way with this Inspiration For Moms project! 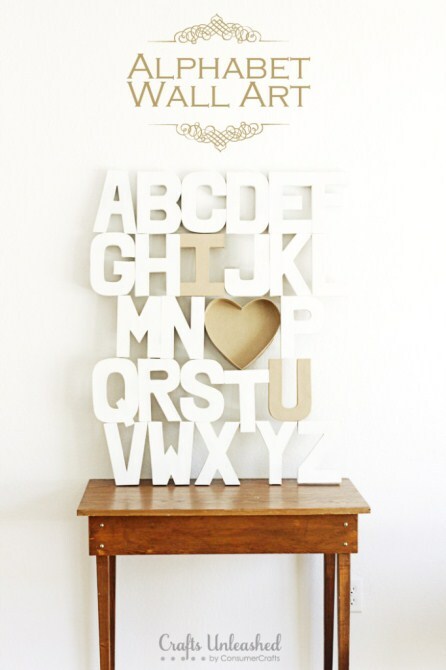 Buy a blank canvas, some wooden letters, some glue, some spraypaint and you’re done! Seriously fun, potentially messy! Take care, but enjoy every moment as you will love the final, colourful result. Instructions at Glorious Treats or on this video below. Mermag serves up hole punch magic. There’s method to the madness, so get the kids to help but take charge and supervise what goes where and how! Love to crochet? Love colour? Then this crochet button floral wall art from Fab Art DIY will win you over. 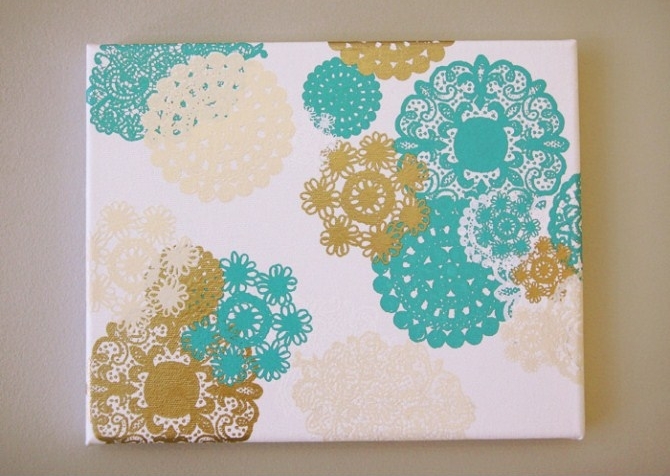 Canvas, string, glue, paint! This idea is as easy as pie from BluKatKraft. This may be time-consuming, but it’s not hard. Cheers to Welcome to Heardmont for thinking of painting barbecue skewers luxury gold! Paper art that looks so gorgeous, it’s hard to imagine it being easy to make. Have a go at this Wonderful DIY guide or check out the video below. 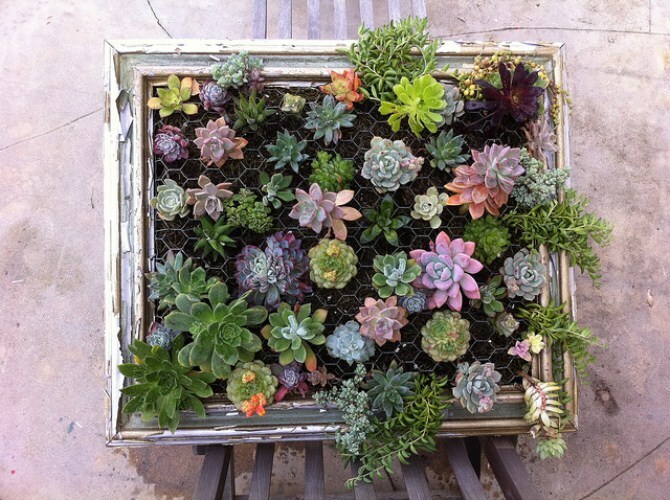 Luna See’s vertical garden goodness is a wonderful option, even for those without green thumbs. Thank you Tara Dennis for making gorgeous so easy to achieve! The Missing Niche gives us 5 minute wall art! Form an orderly queue! 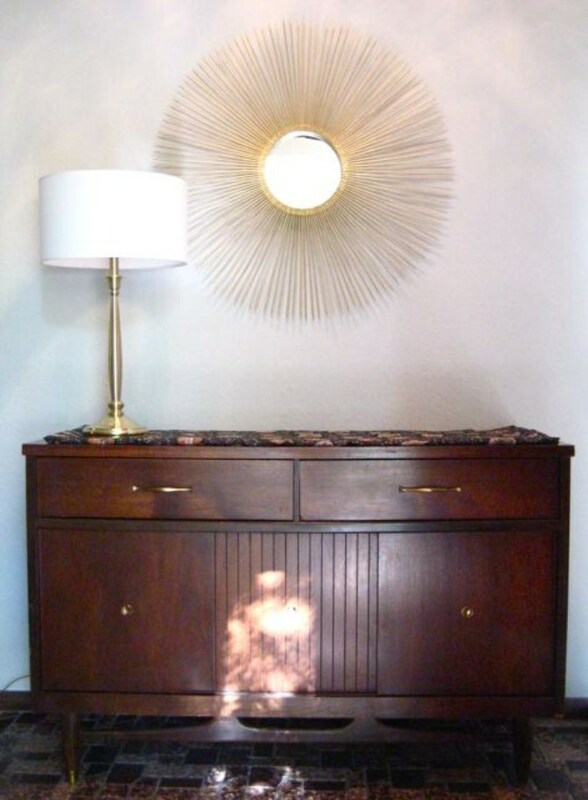 Here’s how you make an old, ugly painting new again – and amazing! 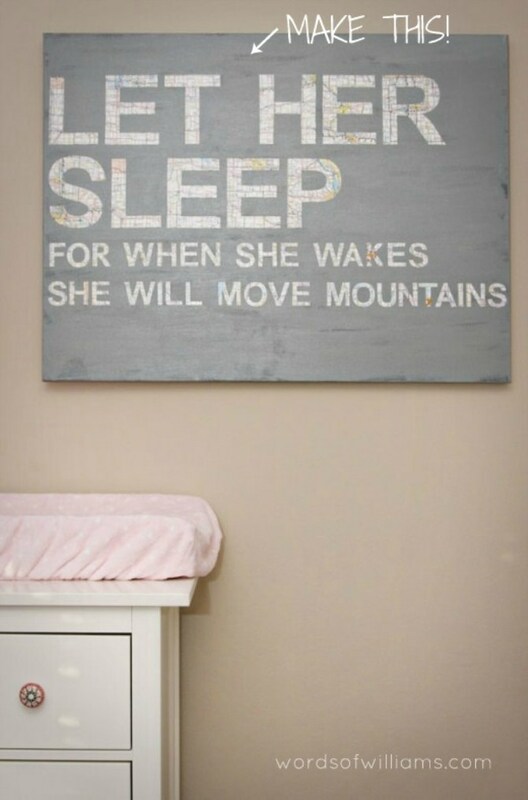 While They Snooze suggests doing this one when the kids are awake! 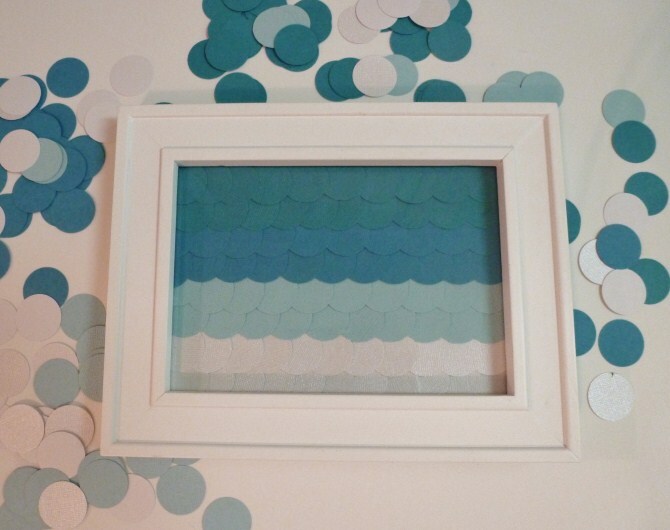 There’s nothing fishy at all about how easy this amazing piece of wall art from Two Thirty Five Designs is to achieve. 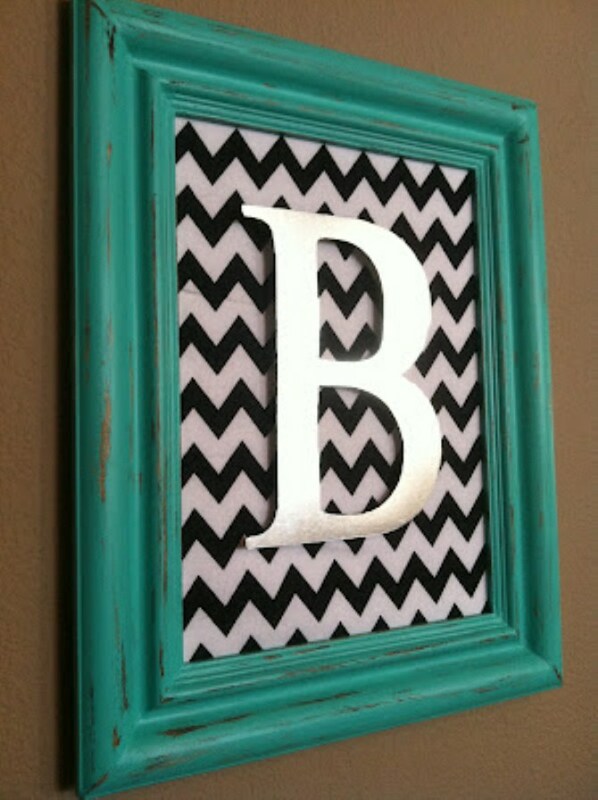 Every teenage girl’s room simply must have a wall of this Dream Create spectacular! Wow! You cut the canvas. Literally! Joyfully Jensen creates perfection here. Something you learn at a beginner painting class, but you don’t have to attend a class to get this right with Hambly Screenprints’ DIY tutorial. Who knew old sticks in a frame could look so amazing. Cleverly Inspired sure did! Check it out! 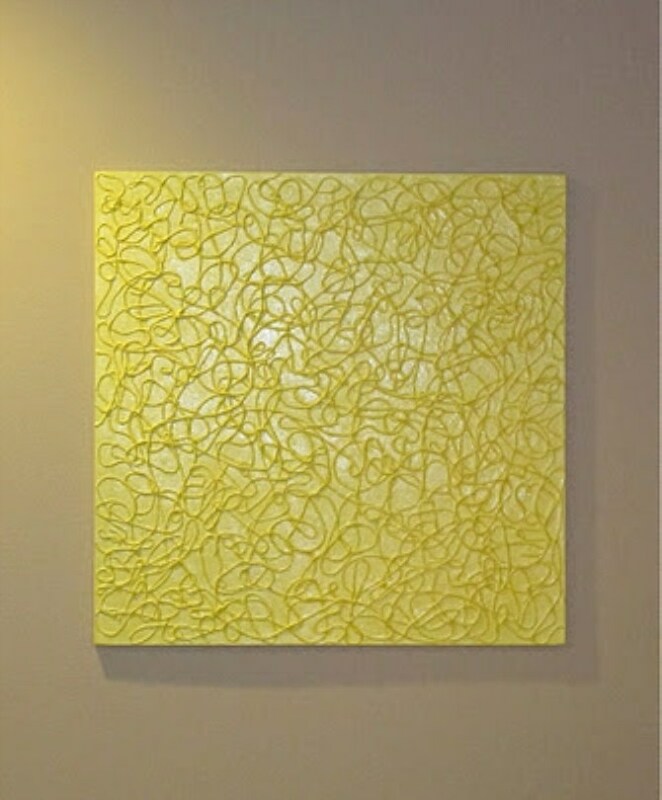 This art is everywhere at the moment and now it can be in your home too without paying too much for the privilege. Crafts Unleashed show how it’s done. Use the Canvas Factory collage maker to create a funky Modish collage. There are so many image frames here. 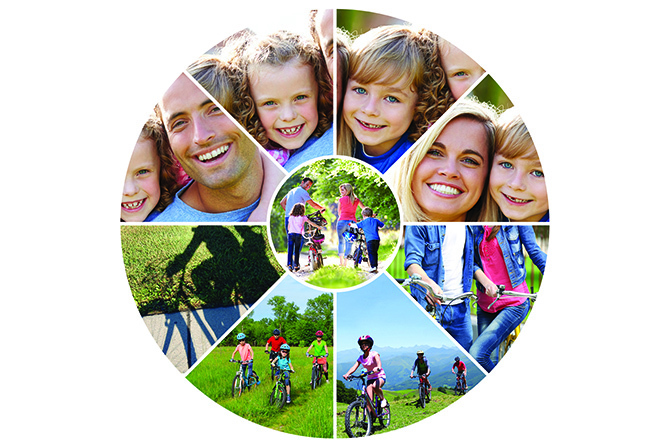 This means you can source and print an abundance of fun photos of family or friends all in the one print! 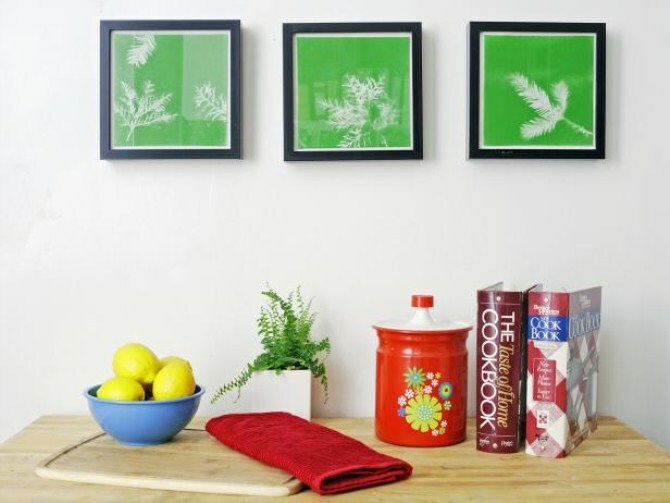 This hanging bottles wall art from Blog Her is perfect for the lover of recycling. Talk about affordable art! 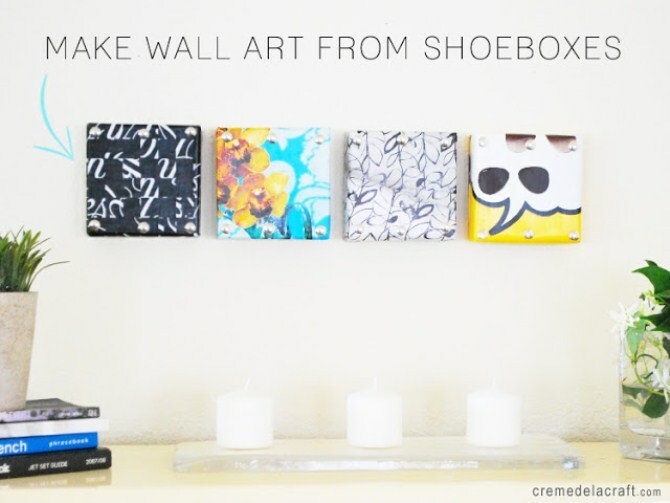 Put those shoeboxes to good use with this Creme De La Craft idea! Guilt-free shoe shopping here we come! Did you know a deltiologist is someone who collects postcards? Well you do now! 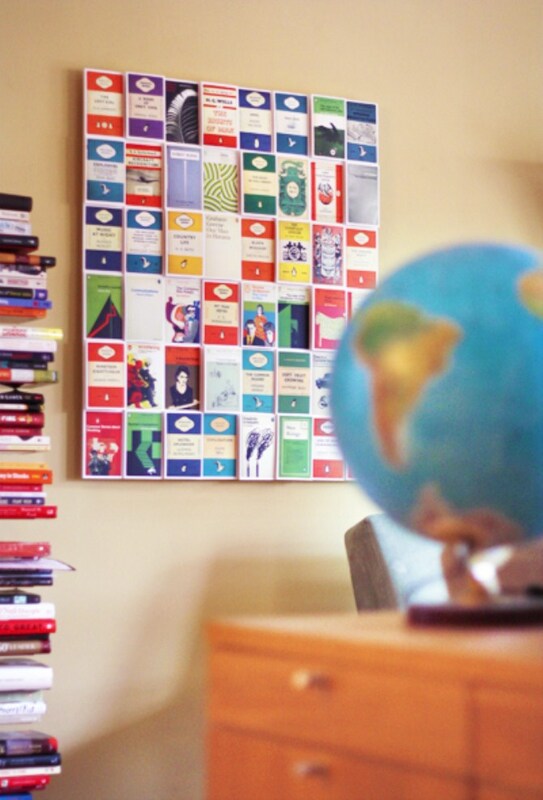 How About Orange’s postcard wall art idea is super simple and you don’t have to be a collector to enjoy it. 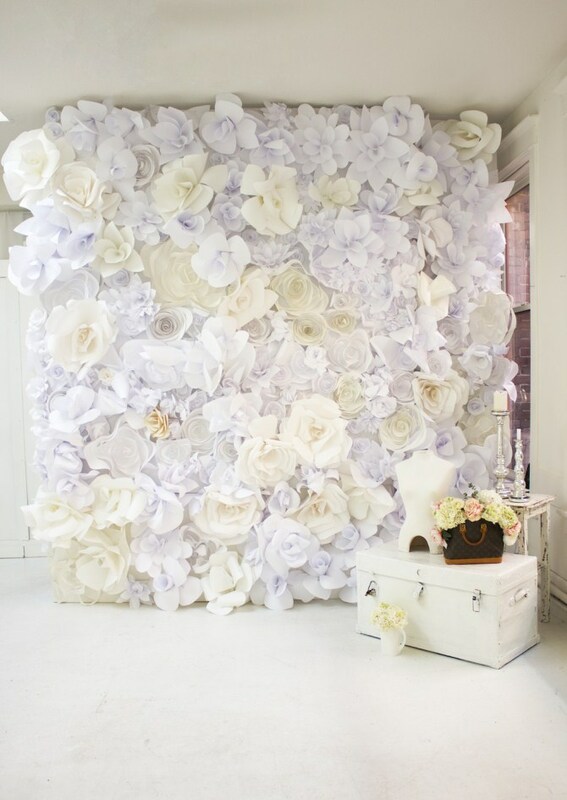 If origami flowers can go in vases then we can mount our hard work onto a wall. 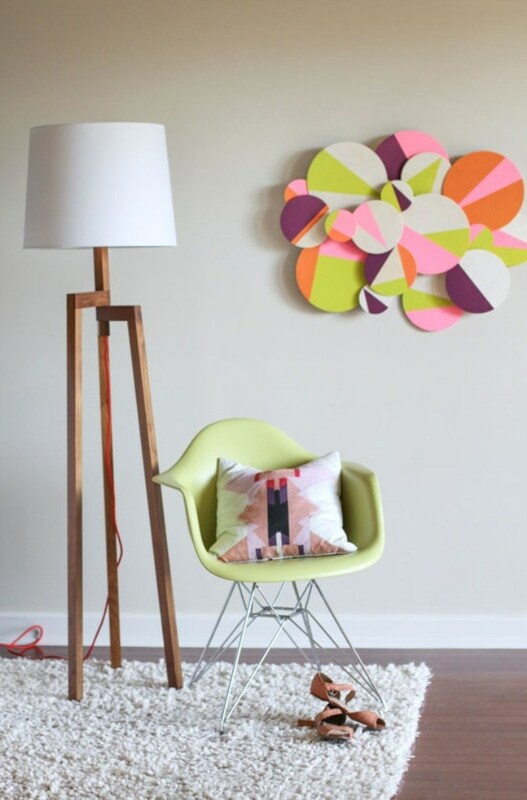 Design Sponge shows how it’s done. Get that plate collection out of the cupboard or visit an op shop and buy some more. 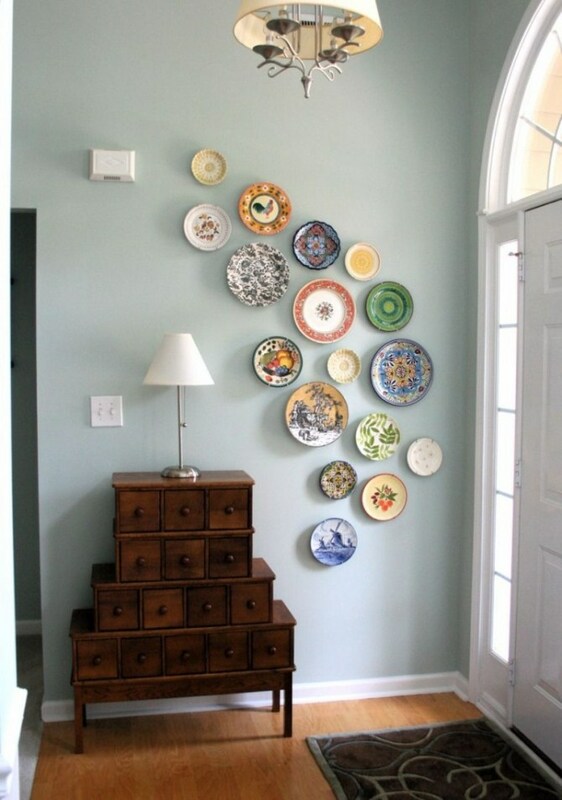 A Pop Of Pretty presents pretty plate wall art. 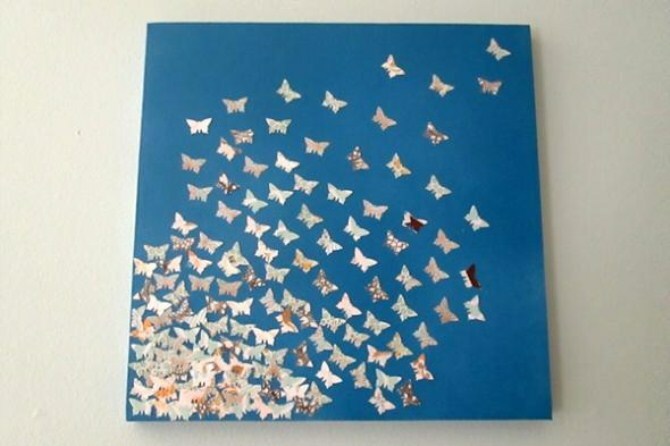 Ombre hair is all the rage, but With Love From Abby shows you how to ombre some paper fish scales to create art, sweet art! Some Of This And That shows how you create inspirational word art. It’s pretty fancy, so if you find it too hard don’t be afraid to cheat by visiting the Canvas Factory gallery and searching for ‘Quotes’. Buy one of those then jazz it up at home however you like. 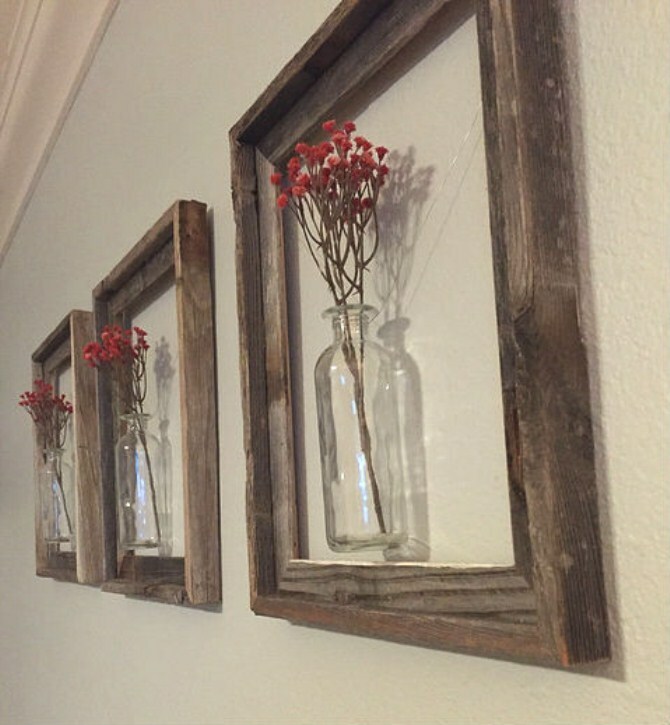 Rustic chic anyone? 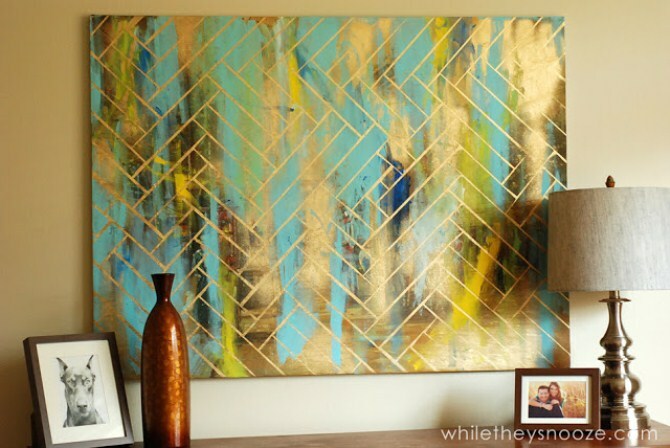 The Baeza Blog shows you how to achieve a French inspired piece of wall art. 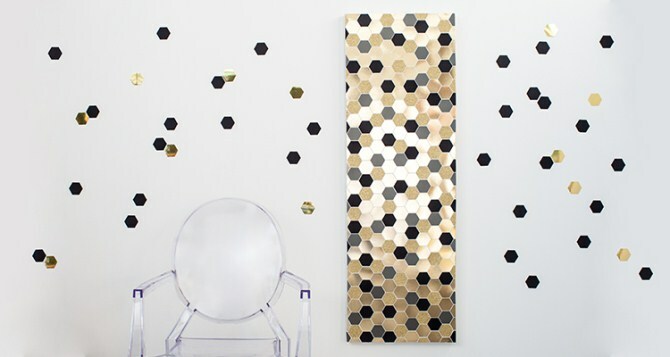 We love this easy thumbtack wall art idea from Live Love DIY. Live it. Love it. Go. Give us a D! Give us an I! Give us a Y! What does it spell … ? DIY! 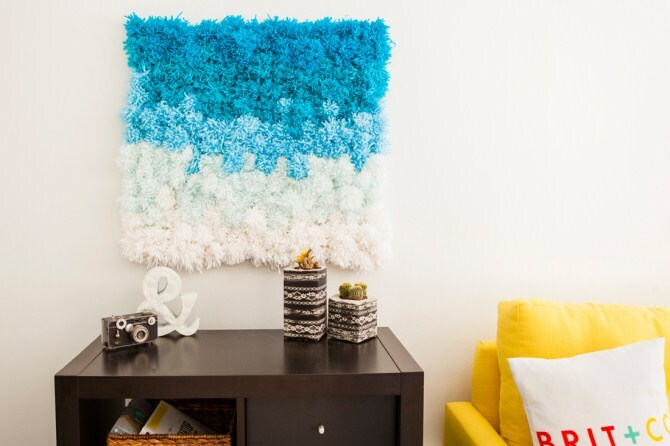 This DIY pom pom wall hanging from Brit & Co will give you something to cheer about. 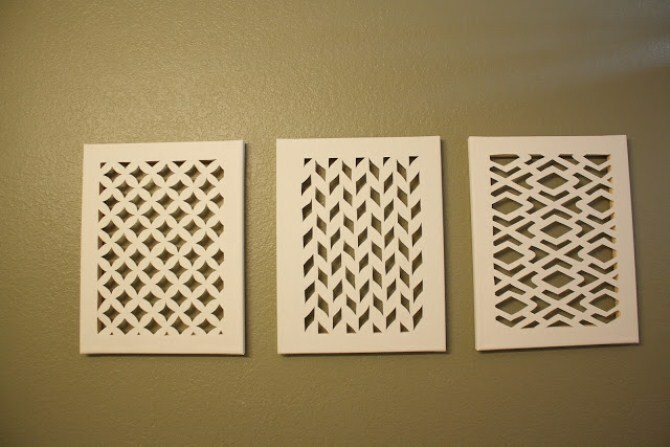 All it takes is a craft cutter, some paper, some glue and a blank canvas. This guide from Celebrations will show you how it’s done. 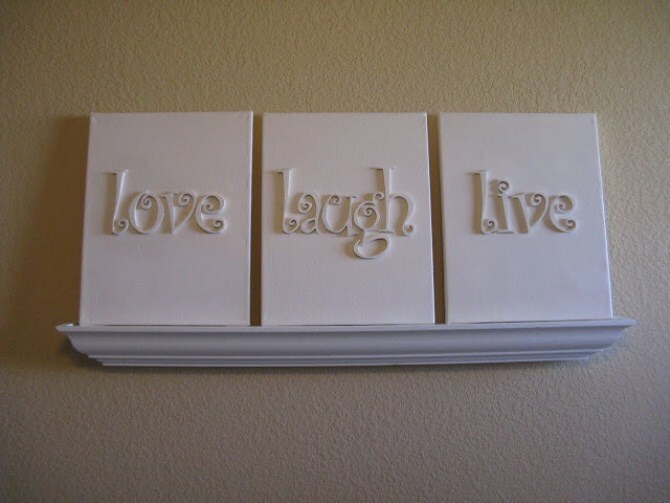 Curbly does DIY wall art well, so this one isn’t for the feint hearted. Sure, it’s still easy but check out the awesome result! Leaf stencils! Not just for Christmas, this DIY idea from HG TV will have you in the garden and back indoors again before you can say ‘Green’. The Fabulosity Factor’s idea is not only cheap but practically free! 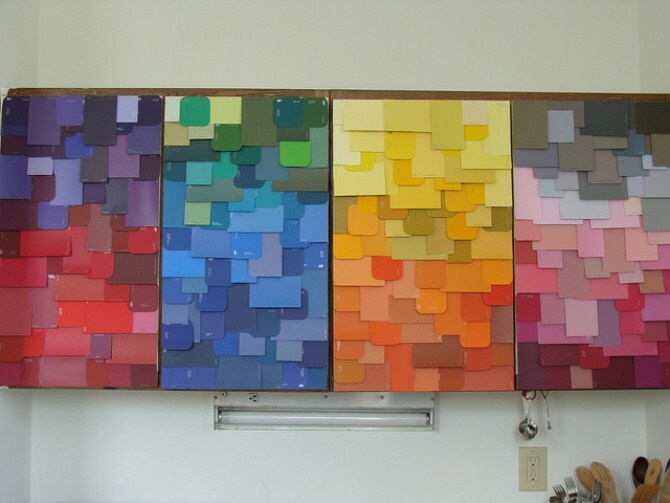 Collect patch swatches and create art! I mean, what else are they good for anyway? 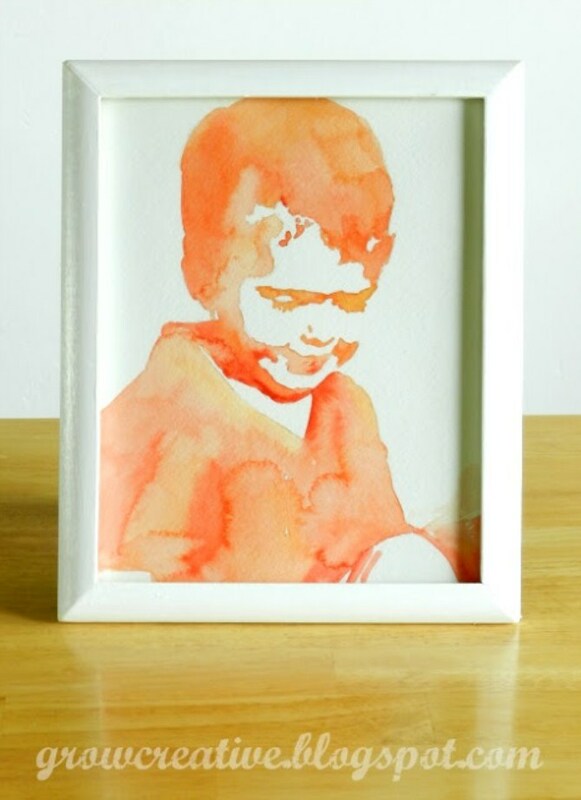 This is just gorgeous – and you don’t have to even know how to paint. 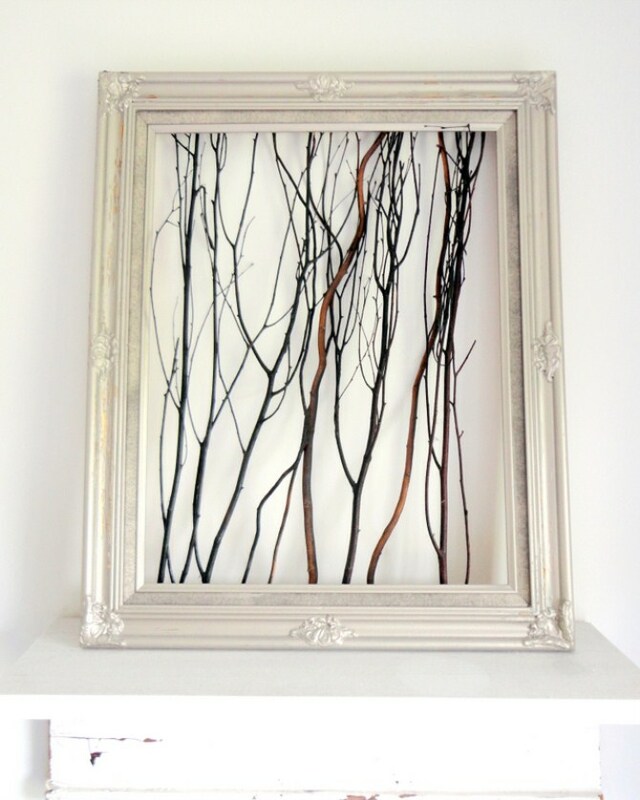 Grow Creative has inspired many a creative heart with this wonderful and doable DIY art idea. If you take the time to make at least 5 of these items, you’ll be able to call your house a home in no time. So gather together the materials and call that craft-a-noon tea today!